Smartphones are digital Swiss Army knives. 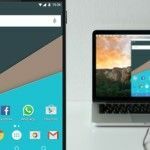 Your Android phone can help you go paperless The Future Is Here - Your Guide to Having a Paperless Life Today The Future Is Here - Your Guide to Having a Paperless Life Today Paperless – a term that is used quite often now days. But what does it mean? And to what extent does it apply? Certainly we all still use paper to some degree despite the advancements... Read More , replacing all those pieces of paper with a single device in your pocket and some cloud storage. 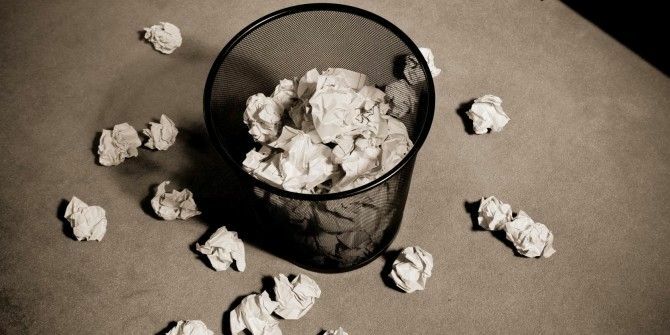 The future is here — it’s possible to have that long-awaited paperless office today. There are many different ways to scan receipts and other documents Scan & Manage Your Receipts, Save Space, Paper & Time Scan & Manage Your Receipts, Save Space, Paper & Time Paper receipts are easily lost and hard to find when you need them most. Thankfully, going digital solves both of these problems. Read More and add them to your phone and cloud storage, but Google Drive and Evernote are some of the most popular applications you may already be using. Use the Scan feature inside Google Drive to scan a physical document — open the menu, tap Add New, and tap Scan. Point your Android phone’s camera at the document and Drive will pick the document out of the photo and save it as a PDF file. 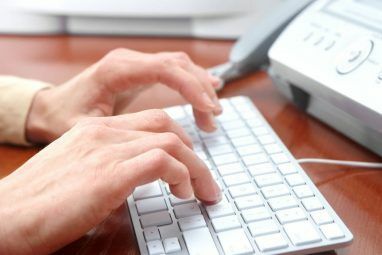 Google will also perform optical character recognition (OCR) The 3 Best Free OCR Tools to Convert Your Files Back Into Editable Documents The 3 Best Free OCR Tools to Convert Your Files Back Into Editable Documents Optical Character Recognition (OCR) software turns printed documents into machine-readable text. Here we show you the best free OCR tools and how they work. Read More on it so the text inside the document will be searchable later. The resulting PDF can be accessed from the Google Drive application or website. If you’re an Evernote user, you can scan receipts and other physical documents and save them directly into your Evernote account to keep them organized. Create a new note (or open an existing note), tap the plus button, and tap Page Camera to capture an image of a physical page and attach it to the document. This works like Google Drive, picking the document out of a photo. Evernote also performs OCR so the text in the documents will be searchable. 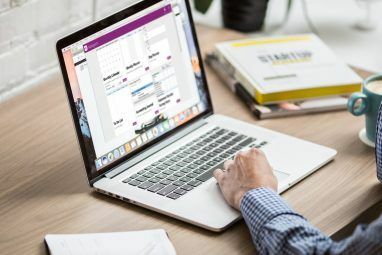 If you use another cloud storage service like Dropbox or a note-taking service like OneNote, check your service’s app for document-scanning features. You can always just take a normal photo with the app and upload it, even if you don’t have document-recognition and fancy OCR features. Go digital with your notes. Google Keep is integrated with Android, and is available as a Chrome app and on the Web. Evernote is a popular, full-featured note-taking solution. Simplenote now has a beautiful, official Android app and is focused on just-plain-text simplicity. Microsoft’s well-regarded OneNote note-taking solution is now available for Android, too. Pick an application and use it both on your phone and computer, and you’ll have access to your notes everywhere without having to juggle papers and worry about losing them. Need to save something for later? You don’t need to print it. Instead, just send a digital copy to your phone. For example, let’s say you want to save a receipt, plane ticket, or any other document you might need later. Instead of printing it to a piece of paper, print it to PDF How to Print to PDF From Windows 8 Desktop & Modern Apps How to Print to PDF From Windows 8 Desktop & Modern Apps It's the digital age and you should stop printing to paper! Print to PDF instead. This article briefly discusses the advantages of PDF over paper and demonstrates how to print to PDF in Windows 8. Read More . In Google Chrome on your computer, you can print straight to Google Drive and your document will appear as a PDF in the Google Drive app on your phone. You can also use the Print option in Chrome on your Android phone and save the current page to a PDF file in your Google Drive. Prefer another cloud storage service? No problem. Just use any standard tool to print a document to PDF and save it in your Dropbox, Microsoft OneDrive, or other cloud storage folder. It will then be available in the appropriate app on your phone. Google Chrome for Android has this functionality built-in simply by selecting Print from the options menu. The PDF printing option gives you a full document along with images, which is essential for many types of documents — think plane tickets, concert tickets, receipts, and maps. However, sometimes you just want to print out a document so you can read it later Pocket - The Ultimate Digital Bookmarking Service Pocket - The Ultimate Digital Bookmarking Service As Bakari previously reported, the well loved Read It Later - which enabled users to save articles to read later from a bookmarklet or various apps it was integrated with - was discontinued and replaced... Read More . We recommend Pocket for this. Install the Pocket app on your phone and the Pocket browser extension on your desktop Web browser. Click the Pocket button in your browser and the current page will be saved to your Pocket queue. The Pocket app on your phone will automatically download an offline copy of the page’s text and images so you can read it later, even if you have no Internet connection. Pocket is often used to save Web pages for later reading, but if you’re in the habit of printing out recipes and other reference material, it can be a useful alternative to printing. You can also use Android’s Share feature to save a link from any app to Pocket. The Google Maps app included with Android is obviously an excellent way to replace paper maps with GPS, navigation, and search features — but what about when you don’t have an Internet connection? Maybe you’ll be travelling and don’t want to get hit with roaming fees, or maybe you’re driving through an area without any cellular coverage. Skip the paper map and save a map area for offline use inside the Google Maps app. You can open the Google Maps app and see where you are on the map without a Wi-Fi or data connection later. Tap the face icon to the right of the search box in Maps and scroll down to the bottom of your profile screen to view your offline maps. You can’t get navigation directions offline with Google Maps, although you can get navigation instructions while you have an Internet connection and continue following the route while offline. If you want offline navigation instructions, try another one of these offline GPS apps for Android The 8 Best Free Offline GPS Apps for Android to Navigate Anywhere The 8 Best Free Offline GPS Apps for Android to Navigate Anywhere Need directions on your phone but don't have an internet connection? These offline GPS apps for Android will help you navigate. Read More . If you read print magazines, you can subscribe to them and read them on your Android phone or tablet in several different ways. The Google Play Newsstand app offers digital copies of print magazines and newspapers, which you can subscribe to. The cross-platform Zinio magazine subscription app does something similar. Your newspaper or magazine of choice may also have its own dedicated application instead. For example, if you read the New York Times, you can install the NYTimes app and subscribe to the New York Times via the app, cutting out the paper newspaper altogether. Amazon’s Kindle app also offers newspaper and magazine subscriptions, and you can read your subscription with the Kindle app on Android as well as dedicated Kindle eReaders and the Kindle apps on other platforms. Of course, you may prefer to dispense with the traditional magazine and news apps entirely. Flipboard is an excellent way to read online content with a magazine-like experience. Be sure to check out our guides going paperless with an iPhone The Beginner's Guide To Going Paperless With A Mac, iPad and iPhone The Beginner's Guide To Going Paperless With A Mac, iPad and iPhone I don't have the stats to prove it, but I think the money I save by going paperless practically pays for my Apple devices. Read More or with Windows Phone 8 How To Go Paperless With Windows Phone 8 How To Go Paperless With Windows Phone 8 Are your shelves collapsing under the weight of packed folders and does paper seem to materialize everywhere? The answer to going paperless is digitisation. Read More if you have another type of phone! Explore more about: Cloud Storage, Digital Document, Evernote, Microsoft OneNote, Note-Taking Apps, Organization Software. I didn't know about using Google Docs to scan! That's pretty impressive. I bought another Android app to do that, but I haven't used it yet. Not sure why. And when did MUO get included in Flipboard? I must have missed that memo. Adding it now. There are many things I like better on my MotoX, but business card scanning is a gap for me. This was a very intuitive article to read. I was quite surprised at the fact that most of the apps that were mentioned I already was using on my phone. But would have never thought about the notion of using them to make my life more paperless. I hope to be able to get the art of this into my daily routine. Once again thank you for the article. Genius scan is my first goto app for getting things in. Its ability to unskew is amazing, and will auto contrast the image also. Share it to evernote or drive or whatever as pdf or jpg.